What can Norway learn from India ? Well, not much, some would argue. Norway is among the richest countries in the world while India is home to more poor people ( 421 million poor people) than the entire continent of Africa put together[i] (400 million). Despite the obvious and glaring differences, there are similar challenges that both the countries face, and this was accentuated with the most recent terror attacks by a Norwegian, who claimed to be anti-immigration and anti-Muslim; and was acting to protect Norway from Marxism and Muslim takeover. In essence, both countries are dealing with issues of multiculturalism and co-existence of people of different religions, ethnicities and cultures. The solution to managing this conflict lies at both the rhetorical as well as pragmatic level. To deny one and focus on the other would be foolish. I will argue that India has done a remarkable job of managing this diversity and Norway has lessons to learn from India. Though examples of extreme violence exist in India – think back to Gujarat in 2002 when more than 2000 Muslims were killed by Hindu fanatics to avenge the attack on a train and more recently, the Mumbai terror attacks; the fact that such incidents are few and far in between and India has survived as a secular state, protecting the rights of the minorities speaks quite highly of the state itself. As a Muslim, who has lived in India for over 26 years I do think that India has done a good job, though it can do better. Here are 5 lessons that I think Norway can learn from India, a secular, democratic republic and the world’s largest democracy today. Institutionalize multi-culturalism – Going back to its formation as a nation, in 1947, when India gained independence, we made it a constitutional duty to uphold and protect the various religious, ethnic and other diversities that existed. The myth of “India”, a nation with so many multitudes required that this idea be protected. In the 16th century, Mughal Emperor Akbar had brought back the notion of India as a nation and the British had taken over this after him, but to bring together those 500 plus princely states and hold them together required this framework of tolerance and embracing of complexity. 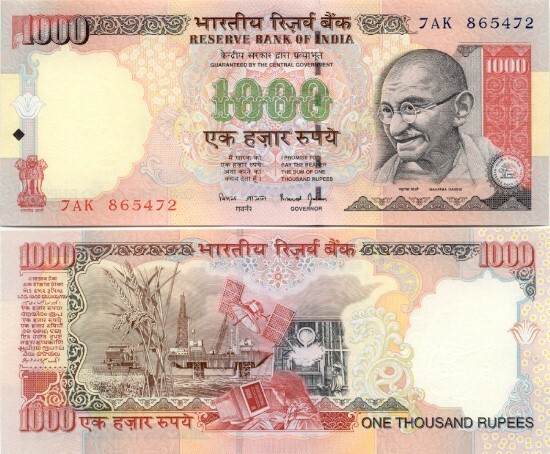 Promote and celebrate diversity – in every way possible – The example of India’s currency note is often used to illustrate just how complex the country is and how many languages are used. If you turn around the note and read the number of languages, you will see about 15 languages. These are all “official” languages of the various states, not to mention the hundreds of dialects that exist. There is some wisdom in adopting this notion. One can see this in every aspect of daily life in India – from Bollywood, Cricket to even an office setting. Provide space for dissent, but crack-down on extreme ideologies – While the democratic framework allows for dissent and airing of opinions, there must be a crackdown on extreme ideologies. All said and done, there is a judicial process that is followed in most cases of violence in India. It may be faulty, slow, inefficient, but cases of violence and right wing activity are monitored carefully in India by the CBI and other agencies. This can be emulated in Norway too. Have a vision and stick with it – Going back to the days of formation, the visionary leaders – Nehru, Gandhi and Ambedkar all visualized a nation that would be home to all people, not just of one race or religion. It was as much a choice as accepting the ground realities. The vision of India that emerged was a product of this reality and the leaders were wise enough to acknowledge it and embrace it – at great risk to their own selves. This notion seems to have prevailed several decades later. Norway can come up with a vision which is bolder, stronger and more compelling than what it has today, which embraces minorities and immigrants more strongly and sends out a message to the right-wing groups on all sides of the political spectrum that their ideologies will not win. Don’t let the state become militarized – As a reaction to 9/11 the USA became more militarized. The Department of Homeland Security was established and civil liberties curtailed. India is also responding to terror attacks quite predictably with such draconian laws as POTA which until recently made life hell for minorities. Thankfully, we are not an entirely militarized state and this is a great achievement. The pacifist nature of India society has kept the country from going to any extremes. India’s model of secularism is also very interesting. It is not the sanitized “keep the religion out of public space” sort, that Europe seems so obsessed with. The secularism that India practices is one of embracing all religions equally – at least in the public sphere. Legally too, each religious group is allowed to practice its own low, for marriage, divorce and other civil issues. This seems to have worked largely well. Though big debates like the uniform civil code and other issues which take this notion to one logical extreme are still being debated, at least on a day to day basis one sees that the state has kept secularism within limits and religion is accorded its special place, keeping in mind its special place in peoples’ lives. I do believe that India has much to offer to the world, and Europe and its nations in particular, as the continent battles with the rise of the right-wing. Though not perfect, India continues to uphold the secular ideal and to a large extent guarantees the right of minorities. It is this spirit that Europe should look towards for inspiration. very nicely articulated . Indian government also made a country wide youth community based network called Nehru Yuva Kendra Sangathan (NYKS http://www.nyks.org ) which means Nehru Youth Centre.NYKS has 2,52,000 youth clubs all over the country. it is funded by Ministry of Youth affairs and sports and supported by the 612 district level offices . The main objective of NYKS is to promote National integration & youth empowerment. i was earlier the Executive Director of NYKS and we are willing to share this best practice. Sabith, well articulated points. But the Indian soil has an essence of tolerance. Indians in general are tolerant.Proof–in your article itself– Mumbai bleeded after two attacks on its lifeline , but no retribution on religion or community basis. India or Bharat is a way, a style, a thought and hence it shall survive. Previous Previous post: MENASA ?